You can view and configure @Pay Web Hooks in the Organization Dashboard under "Developer Tools". 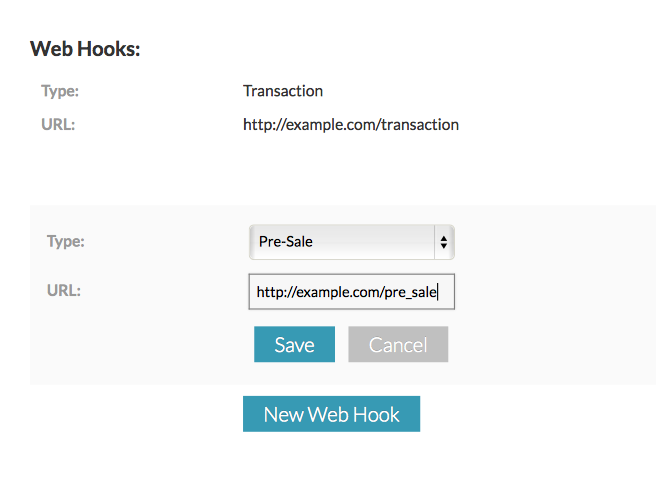 We offer four types of hooks: 'Pre-Sale,' 'Transaction,' 'Error,' & 'Further Action Required.' Depending on the hook type, these will send information to your application when specific events occur during a transaction.